Review: Mary Anne Hobbs has been waxing lyrical about this sophomore collaborative set from Arovane and Hior Chronik, and it's easy to see why. The album's genius lies in the duo's atmospheric combination of crackling field recordings, lucid electronic instrumentation, and the melancholic poignancy of classic piano motifs. 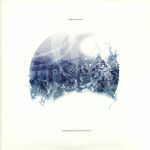 While they're naturally more at home delivering atmospheric, slowly unfurling ambient pieces - and there are plenty scattered across the album - the production pair's more up-tempo efforts are generally equally as impressive. Tracks such as "Lightbeams", 'Perpetum II" and "Eines Klein Lied", where their beautiful music is underpinned by bustling and bubbly machine percussion, are particularly impressive. Review: Known to many for his infamous ambient dub techno album, Rigning, Adalsteinn Gudmundsson's landmark release took us deep amongst the rain-drenched forest. The beautiful, slowly shuffling atmospheric masterpiece set a blueprint for the notorious style we now know him best for. Fast forward ten years, and the gently falling rain from Rigning has now intensified. Yagya has shifted to something with more energy, a more defined groove, and a growing euphoric state: Stormur. Confident in its simplicity and efficiency, Stormur is focused on the subtle flow and progression between tracks akin to a full DJ set, transporting you from one chapter to the next. Each track taking its cue from the previous. The tonal shifts are minimal, resulting in a trance-like state throughout the ten movements, best absorbed in one sitting, with guest vocalist Hatis Noir (Erased Tapes) providing an angelic voice amongst the shifting patterns, swirling synthesizers and driving grooves.